Nothing guarantees a wonderful dining experience quite like a fine cellar wine rack stocked with a superb selection of wines. Your wine collection represents a real financial investment and a source of deep personal satisfaction. A good wine collection can bring to life any social occasion and will reward you with the respect and praise of your friends and visitors for your knowledge of good wine. But like all worthwhile investments, you need to look after your wine. If you do not store your wine correctly, you risk damaging the quality of your wine and leaving a sour taste in the mouths of your diners. Vinrac have designed the cellar wine storage units with you in mind. Our clever modular wine storage units give you the flexibility to design a cellar according to your needs and space requirements. Vinrac Cellar Wine Racks come in a variety of sizes so you can start your cellar wine storage with as few as 12 bottles then add more capacity as you require. 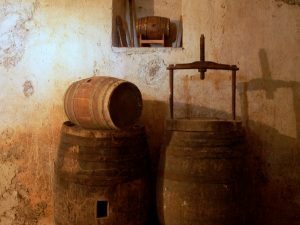 How do I choose a good place for my wine cellar? Choose a cool, dark environment that is dry and free from variations in temperature. Ensure that your cellar has good access—there is nothing more frustrating (or dangerous) than struggling out of a tiny, awkward closet with an armful of bottles. Avoid areas subject to vibrations as this can stir up the sediment in your wine. Check for the presence of motors such as generators, or lift motors that may start up intermittently. Verify that the cellar floor is flat, level, and strong enough to support the full capacity of your wine cellar. This is especially true in old houses where uneven or loose floorboards can create a dangerously unstable surface. How big should my cellar be? To best calculate the number of wine bottles your cellar will hold you can measure the total length of floor combined with the maximum height or your reasonable reach. 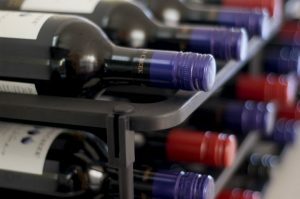 The following common wine rack dimensions will help you calculate the number of wine rack systems you will require; a 20 bottle rack is approximately 432mm wide x 449mm high, while for a 40 bottle rack you should allow approximately 856mm in width x 449mm in height. See our wine rack dimensions page for more information. All Vinrac Wine Racks should be braced once they exceed a one-metre height, and we recommend a maximum height of 1.8 metres. Superb appearance, flexible design, strength of construction,and ease of installation—these are the hallmarks of the Vinrac cellar wine rack system. You can feel safe knowing your valuable wine collection is in good hands with Vinrac.